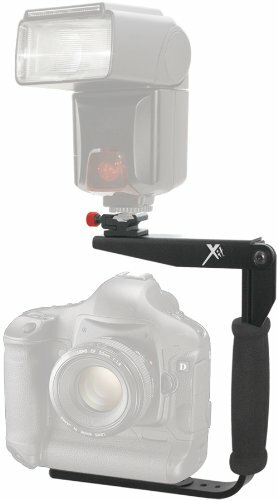 Xit XTRTFB Pro Series 180 Degree Quick flip rotating flash bracket eliminates red-eye and harsh shadows. It features a foam grip for comfort and 3 Velcro straps are included to keep any wires out of the way. It has a sturdy grip and all aluminum construction. A unique flip arm allows for multiple flash positions & dramatic lighting effects. Works in both horizontal and vertical positions. View More In Camera Brackets. If you have any questions about this product by Xit, contact us by completing and submitting the form below. If you are looking for a specif part number, please include it with your message.